...sometimes you have to CREATE it. A few weeks back, I was really contemplating life. Okay, mostly photography, or me, as a photographer and really just wanting to see where I could go with it. I realized things are not going to move themselves forward, so I thought, instead of waiting for a fabulous shoot to fall into my lap, why not make one for my self? Well, what started as an idea, sort of turned into an obsession and resulted in what you see here. I really thought about the type of wedding that I wanted to shoot. 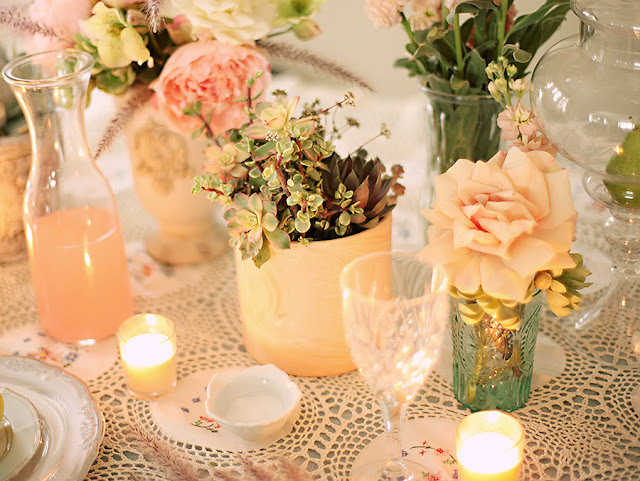 What would be my ideal color scheme, floral arrangement, linens, table setting, favors etc...? Once I decided the look and feel I wanted to go for, it was only a matter of gathering the items necessary to complete the vision. This, this took a little time and, well, a little money, but proved to be completely worth it in the end. I styled and shot the spread in my home with in a couple of hours and I am completely over joyed (and maybe a little proud) with the results. I wanted to create a table that embodied all the sings I LOVE about spring and summer. I chose pastel-y hues of pinks, greens, peaches, blues and cream as my palette. For the favors i decided on pears coupled with raspberries and wheat. I have always had an attraction to the shape of a pear. Maybe because it's almost oval (which I LOVE), I dunno, but what ever it is, I think it's beautiful and gives me a warm feeling. The raspberries are the perfect summer fruit and wheat ties in the organic, earthy feel of summer. For me, Peonies and Roses are the end all of flowers. 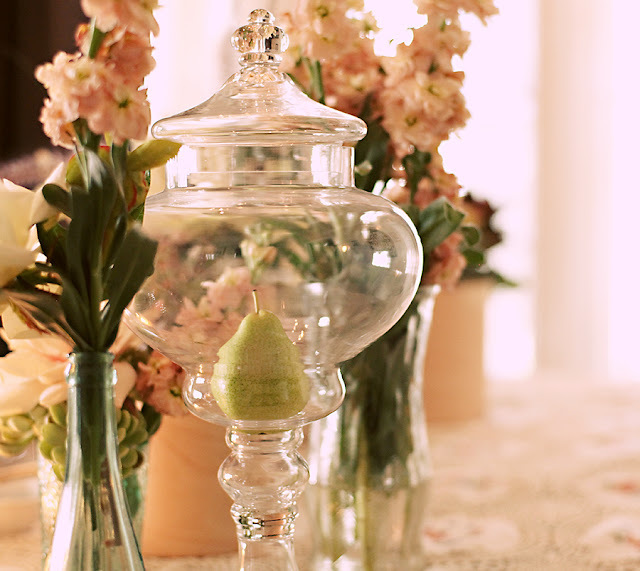 Their smell and aesthetic are to die for, so naturally, I wanted to incorporate them in my floral design. 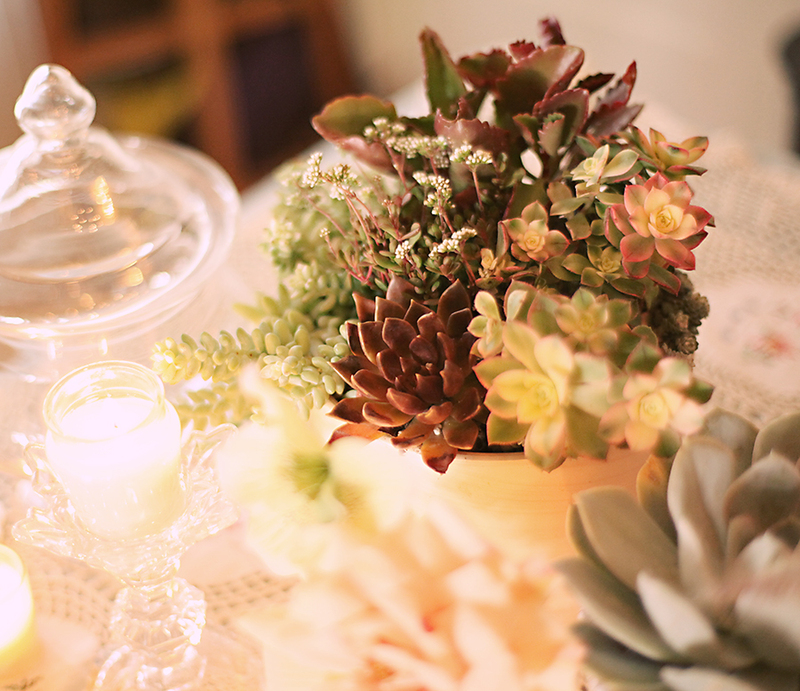 The succulents were arranged by my good friend Noseph and I honestly can't get over how beautiful they are. We found ourselves obsessed with finding the perfect colors and textures and even contemplated snipping a few from random peoples yards. It was a little unhealthy to say the least, but ultimately ended up PURCHASING them here. 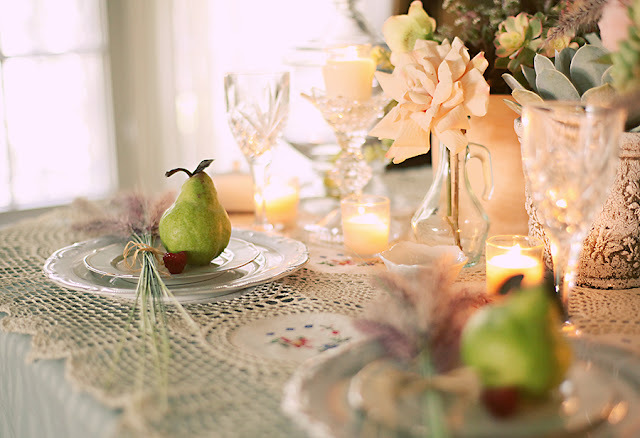 The purpose of this stylized shoot served as three fold. 1.) I think it's important, as a serious photographer, especially in the wedding business, to show my clients that they are not just paying me to take pretty pictures, they are paying me for my eye and attention to detail. As an artist, I need to be able to show a range of skills, which in this case is styling, composition and use of light. I am advertising to the client that I am not just their photographer, but a resource they can depend on for styling and planning as well 2.) By posting this shoot and divulging the details (shot in my home), I am instilling confidence into my clients that, no matter the venue, I will produce editorial style pictures that they will be proud to show. 3.) I am actively taking control of the types of images I wish to produce and display on my site, which in turn describes my style as a photographer and therefore, attract the type of clientele and weddings I'd like to shoot. 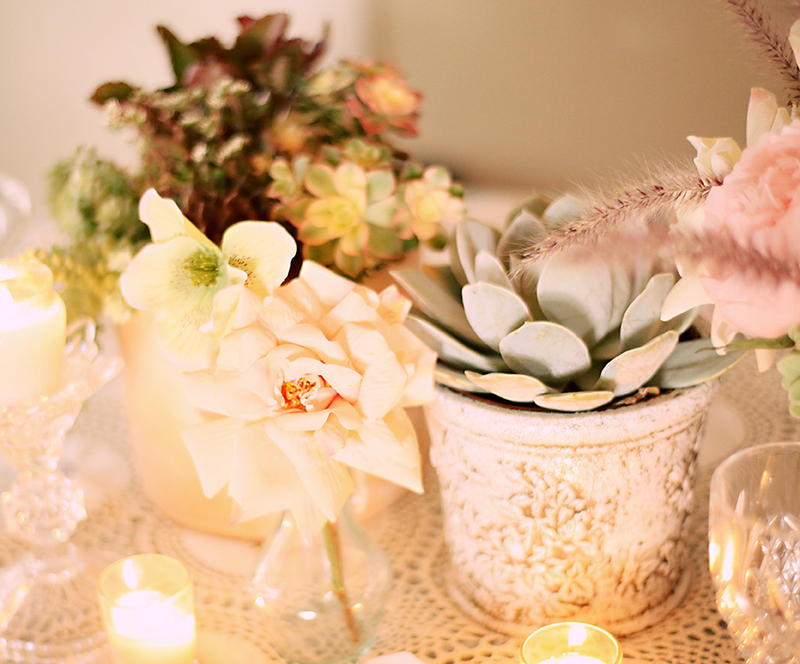 -floral arrangements, styling and photography done by me, Ann Molen. -succulent arrangements and creative input by Noseph Trinh. -all florals purchased from Rolling Greens Nursery. All the china and crystal were either thrifted, gifted or purchased new. The lovely table linen is a family heirloom made by my hubby's grandmother. This is a gorgeous set of photos - just beautiful!